Youth audiences are the ‘North Star’ for media organisations. As the digital landscape has evolved, consumption habits have changed, and traditional broadcasters — including the BBC — have lost significant ground with under-35s to the likes of Netflix and YouTube. That’s a huge threat or opportunity depending on which way you look at it. 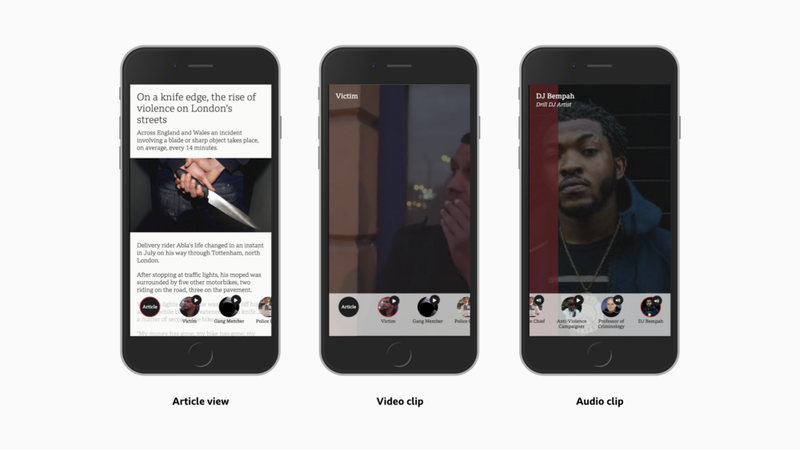 Online news services have been impacted too, which is why BBC Research & Development decided to put time and money into prototyping new digital storytelling formats. Could we rethink the way we report and present news stories to make them more accessible, engaging and relevant, particularly for hard-to-reach audiences? We made under-26s and women aged 28 to 45 the focus of our innovation process. Over a year, we interviewed 85 people face-to-face. As well as giving their feedback on our prototypes, they told us about their news behaviours: where they find value, as well as their pain points. Based on these conversations, we developed a set of writing principles. But before I get into those, let’s take a closer look at some of the characteristics of these audiences. It’s a catch-all term used to describe people born after 1995. A pretty meaningless label for such a diverse demographic, but ‘Gen Z’ is useful when thinking about some of the overarching political, economic and social trends that have shaped their lives in some way. Young people in Britain are coming of age post-financial crash and the era of war on terror and so-called Islamic State. They are witnessing the ‘Trumpification’ of America, and of course Brexit. They’re the first generation of true digital natives, and they are both aware and wary of their reliance on technology. They have never known a time without social media. During our interviews, it was clear that these uncertainties are feeding anxiety about personal debt, unemployment, getting on the property ladder, and how life outside the EU might impact them. And yet Gen Z are pragmatists and largely optimistic about the future. They take education seriously and are masters of their own destiny. YouTube is an increasingly important tool for active learning; many see themselves as entrepreneurs, activists or brands in their own right, and leverage digital platforms to suit their own ends. It makes sense then that Gen Z is interested in a broad range of news on digital platforms. They want to know what’s going on in the world and how it might impact them. BBC News Online has traditionally struggled to reach women aged 28–45 consistently and at scale. I fall into this demographic and can relate to the women in London and Leeds (particularly working mums) who told us about the competing demands on their time, and how that often results in a fragmented news experience. Smartphones and the convenience afforded by built-in news aggregators and (increasingly) social media are their main sources of news. There’s a strong appetite for stories that have direct relevance to their lives. Our research suggested that local news takes on greater importance when women have children. Practical information is also valued, from how to check your tax band to taking civic action on an issue. It’s been a momentous time recently for gender politics, from the Women’s March to the #MeToo movement, to the gender pay gap row. Increasingly we’re seeing news coverage that gives a truer representation of the lived experiences of women in the UK today. The Huffington Post, Refinery 29 and gal-dem were just a few of the publishers that our participants mentioned. However, it’s often not the stories themselves but the way they are told that cause some women to (dis)engage. The economy and welfare state, foreign policy, and healthcare are also intertwined with gender issues. Many of the women we interviewed told us they value politics and business news but — particularly those from lower socioeconomic backgrounds — told us it’s hard to keep up or to know what’s significant. When it comes to politics, some women have disengaged entirely because of a deep distrust in institutions, feeling they have been let down too many times by those in power. I’m concerned by this and the bigger picture, particularly since I work for a public service broadcaster. It raises all sorts of questions about the state of our democracy, now and in the future. These are some of the women raising the next generation of voters — and the next generation of news consumers. 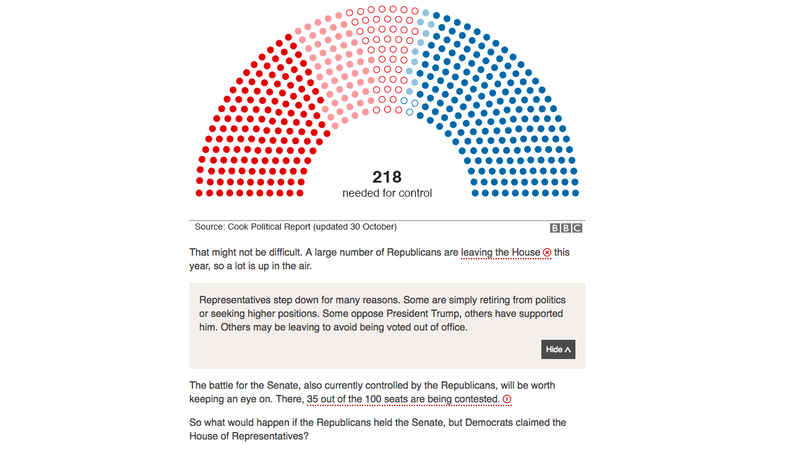 Our brief was to find ways to make BBC online news stories more accessible, engaging and relevant. The most significant user need we found during our research was that these particular audiences want help to go beyond the headlines and understand why things are happening, and why it matters, but there are often too many barriers. These are a few guiding principles I followed when designing and writing content for our prototypes. They might seem pretty obvious, but it’s surprising how often we overlook the simple things. In terms of understanding complex or long-running stories, people need context at the point they need it, which is often at the beginning rather than at the end of an article. At journalism school I was taught the inverted pyramid storytelling structure —but that seems increasingly irrelevant in the digital world. Our Expander prototype tries to address this problem, and got great audience feedback in this recent US mid-terms pilot on the BBC News website. This is a related point. Often if an article is missing information, young people will use Google to fill in the missing blanks. Use Google Trends to find out what people are searching for on stories (the irony is not lost on me). Visualise someone coming to the subject for the first time, and write for them. Remember, young people discover the majority of their news on social media. It’s a great place for finding out what has happened — but not for the why, for getting meaning and insight. If they invest their time in your article, make sure you give them what they need. With long-running stories, some of our interviewees told us it’s hard to keep up. They often feel they’ve missed too much, which can cause them to give up. Give your readers more entry points into stories. Summaries and timelines are particularly good for this. Don’t assume too much knowledge. Don’t use jargon. Or if it’s part of the story — explain it. Our ‘Incremental’ prototype was recently piloted on the BBC News website. Brexit is as complex as news stories get — the journalist here took pains to spell out why the latest EU Brussels summit mattered. Quality journalism that people can rely on is more important than ever. The BBC is the most trusted news provider in the UK. It was heartening that this was the case with many of the young people we spoke to. One observation was that trust in news brands tends to be ‘inherited’ from parents as something they grow up with. Another observation was that, although not a primary destination for news, the BBC (and the likes of The Guardian and Channel 4) are important secondary sources. 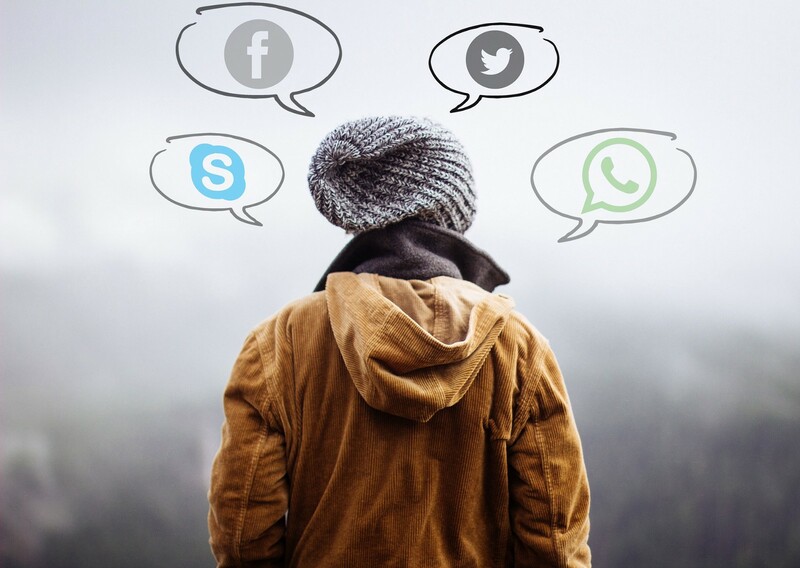 Young people are looking to trusted news providers for clarification or verification, checking if a story they’ve seen on social media or a Whatsapp group is true or wanting more context and clarity. With the increasing fragmentation of news sources, we’re seeing lies, propaganda and ‘fake news’ spread like wildfire, particularly on dark social — social media platforms and channels where users share content privately, such as WhatsApp. In some countries it’s costing lives. Now more than ever, news organisations have a fundamental role to expose the facts. Perhaps one of the greatest challenges is to reach those who approach all news coverage with skepticism and mistrust. Some of the young people we spoke to described BBC News as part of “the biased British media”: authoritarian, part of the establishment and out of touch. Some had disengaged completely, while others checked multiple sources, and read a broad range of opinion pieces and comments to help form their own opinions on issues. This was particularly important to young people’s sense of identity: Where do I stand on this? What do I believe in? News organisations could do more to facilitate the search for different views, breaking down issues and reflecting the nuance or multiple perspectives within a story. Our ‘Perspectives’ prototype took the issue of knife crime and presented a range of first-person testimony in audio and video. Overall this was seen as less biased than a single BBC reporter. This is an interesting insight, and underlines the importance of context. The balance in the BBC reporting was always there. The short-form video was clipped from a TV package, and the audio from a sequence on BBC Radio 4’s Today programme. We broke it up into ‘bitesize’ pieces; it was the curation and the ability to interact with the media in a way that felt native to digital that really resonated with the participants. The context came from the written article, which they all said was integral. We found that the BBC has an image problem when it comes to younger audiences. We asked some participants: if the BBC was a celebrity, who would it be? Suggestions included Kate Middleton (posh, nice but irrelevant) or Sir David Attenborough (brilliant but old). It’s probably fair to assume that other legacy news providers have similar challenges when it comes to the perception of their brand. Young people told us they want more representative and personally relevant stories. Arguably a big challenge for news organisations is not just how to communicate with young people but what is said, potentially redefining what news is and our journalists’ beats. Make the most of social listening tools. But remember, analytics can only tell us so much. Talk to your audiences to find out what matters in their day-to-day lives. Enable your audiences to keep up with stories that interest them after they’ve dropped from the headlines. This was a need that came out of our research with women. 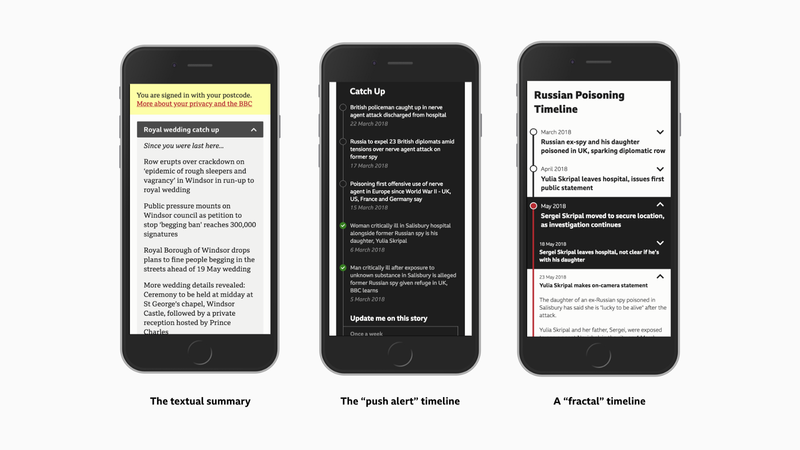 There were a couple of different use cases: for developing stories, people wanted to know as and when there were updates, whereas with long-running stories they wanted summaries after significant developments. Again and again we heard: “The news is too depressing.” Some young people spoke of a sense of helplessness, that often their only means of action was a “meaningless” like or share. Others said they had switched off emotionally from the news. The ‘news’ tends to focus on dramatic events that often feature conflict or disaster. We found young people were weary or distressed by the barrage of ‘bad’ news. They also talked about the daily information overload and wasting time getting lost down ‘rabbit holes’. Seeking respite, they were deleting news apps and turning off notifications. Gen Z are not loyal to any brand or platform unless it works for them. Newsrooms cannot afford to chase metrics alone. So, what can they do? Reduce the 24/7 churn. Slow down. Take time to write clear, considered articles. Think about your narrative. Maybe you’ve heard of ‘solutions-focused journalism’. The BBC’s Emily Kasriel explains it really well — but essentially it’s a strand of journalism that aims to give audiences a truer picture of the world — one in which problems are being tackled. It’s not simply ‘positive news' but rigorous, compelling journalism. And it’s just one more way in which news organisations can better serve young people in today’s ‘distraction economy’. If you’re interested in learning more about the prototypes we developed, please take a few minutes to watch this video. The BBC News website will also be running more live pilots in the coming weeks. Follow @zjmurphy or @tristanf on twitter for updates. BBC Research & Development team: Thomas Mould, UX Designer. Mathieu Triay, Creative Technologist. Tristan Ferne, Project Lead. Zoe Murphy, Journalist. Thanks to User Researcher Johanna Kollman; Dave, Velvet and Rachel at the behavioural research agency What People Want; and Hannah Sainsbury at BBC Marketing & Audiences. Innovation for news, BBC Voice + AI. Formerly @BBCRD. My thoughts, opinions and words here.